Palladium…Why palladium? Many of you know that I’ve been using palladium since 2002…but why? Well here it is: I love Platinum, but in 2001 and 2002 platinum began to be too expensive for some people, and so I started using a lot more 14K and 18K white gold. As you may know, there is no natural white gold, only watered down yellow gold. The main bleaching ingredient in these “white” gold alloys is nickel, which is a toxin for humans. Some folks are really allergic to it, while most don’t have any reaction to it if it is on their skin. Well, I made several very nice custom rings, and saw my clients come in only hours later in tears, because they were having a reaction to the beautiful piece they just spent so much money on! Needless to say, platinum wasn’t an option, because it had already been ruled out because of expense, so what could I do? 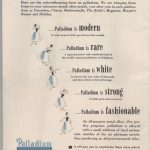 I researched hypoallergenic white gold alloys, and found that in Japan and parts of Europe, jewelers were using palladium as the bleaching/ whitening ingredient in their “white” gold alloys and since both gold and palladium are hypoallergenic, there alloy had better health results. So I started using these alloys. It worked pretty well, but the alloys still were not truly white, and yellowed a bit over time. Also, since the alloy consisted of all precious metal( gold, palladium, silver), the alloy was less affordable than American nickel white gold alloys. Eventually I thought, “ well, if palladium is a precious metal, and naturally white, than why don’t I just use straight palladium?” I started researching this and eventually found a company that sold pure palladium flakes to the dental industry. No jeweler in the US was using it yet, at least not that I could find. So I tried for quite some time to find someone who could tell me how to work with this metal, and someone who would cast it for me, but found no one in the US. I finally found a casting house in Canada that was willing to try for me, and willing to alloy palladium with small quantities of other metal to see if we could improve it. I made a few practice pieces, but was still very unsure about this metal that no other jewelers would accept… I became quite discouraged and about gave up, when one day, as I was searching the internet for anything or anyone with palladium manufacturing experience, three items related to my search showed up on Ebay! 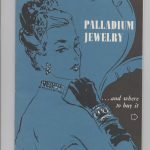 The first was a newspaper from Tuesday, July 18th, 1820 named the New England Palladium & Commercial Advertiser; the second was an advertisement from 1947 out of the Seventeen magazine featuring palladium jewelry; and the third!…Well it was a small catalogue from 1947 featuring 24 US jewelry manufacturers who were making and selling just about any jewelry you can think of made in palladium! So, finally, I had proof that palladium was a viable jewelry metal! Since then I have been part of the palladium renaissance, and we have seen palladium rise to national attention and ever growing acceptance. It has risen as a popular jewelry metal in the US, Japan, and China, and continues to gain in popularity. So where does the rubber meet the road with palladium? Well, it is naturally white, looks just like platinum, is lighter in weight(so I can build bigger earrings for you and not have it weigh your head down to the floor! ), It is hypoallergenic, it does not tarnish, it is beautiful, and it is less expensive than platinum or 14K nickel white gold. If you have any questions about palladium or other precious metals, please contact us for more information. If you would like to schedule an design appointment to have your own custom palladium jewelry piece made, call us at 406.222.7964. Copyright 2013 Elichai, LLC. All rights reserved. Content may not be re purposed or published without written authorization.